Let me introduce Servals' Energy Efficient Kerosene Stoves here – our second step towards energy optimization. With proven improved energy efficiency, cooking efficiencies and safety systems (fuel leakage containment, self-extinguishing), we believe this is a rural energy product that will contribute a lot towards bettering the life of the bottom-of-the-pyramid. The Servals portfolio has an Energy Efficient Kerosene Stove. The Stove has been declared as the “Most Energy Efficient Stove” in June 2005 by the Paraffin Safety Association, South Africa (PASASA) among the comparative testing of stoves entered. Fitted with Venus Energy Efficient Kerosene Burners - a patented design that is proven to have 65.4% Thermal Efficiency against the mandatory requirement of 55% by ISI. This offers a 30% savings in kerosene consumption compared to burners available in the market. 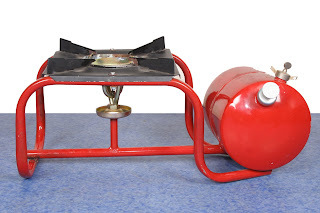 We have also designed a special Safety Stove. This kerosene stove has a special “Toppling Safe” feature. This is a special requirement of South Africa. Read more about why it is so critical in South Africa here.. It has also been awarded a patent in South Africa. Hi, do you sell these to the public. How do you buy them? How much do they cost?